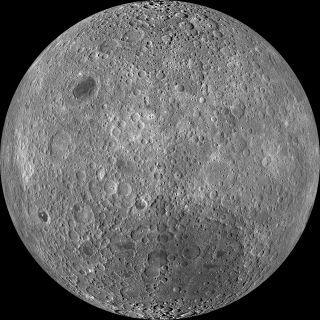 This image, taken by NASA's Lunar Reconnaissance Orbiter spacecraft, is the most detailed view of the moon's far side to date. Over the past 50 years mankind has sent almost 100 missions to the moon. Though not all of these were successful, they have cumulatively made our nearest celestial neighbor the most explored place in the solar system beyond our planet. Yet the moon is still holding out secrets. This unmanned Soviet probe became the first man-made object to make contact with another planetary body. The spherical spacecraft launched on Sept. 12, 1959 and impacted the moon two days later. Locating the former Soviet Union’s Luna 9 would be a major historical find. It was the first spacecraft to achieve a lunar soft landing and to transmit photographic data to Earth. After landing in the Ocean of Storms on February 3, 1966, the four petals, which formed the spacecraft, opened outward and stabilized the spacecraft on the lunar surface. This Soviet follow-up to the first moon impactor became the first spacecraft to take pictures of the never-before-seen far side of the moon. The spacecraft launched Oct. 4, 1959. This unmanned Soviet probe became the first to make a controlled landing on the lunar surface. On Feb. 3, 1966, Luna 9 touched down into a moon crater, and then sent back panoramic images of the landscape. Racking up another Soviet first, this mission became the first man-made object to successfully orbit another celestial body. The unmanned probe launched March 31, 1966, and entered orbit around the moon two days later. Over two months, the spacecraft circled the moon 460 times and continuously transmitted readings. In June 1966, the United States accomplished what the Soviets had four months earlier, by successfully landing a probe on moon in a controlled manner. Over a six-week mission, Surveyor 1 snapped over 11,100 images of the lunar surface. This U.S. mission was part of a series of unmanned lunar prospecting missions in preparation for the manned Apollo landings. Upon completion of the Lunar Orbiter 5 mission, the moon's surface had been 99 percent mapped. The spacecraft launched Aug. 1, 1967, and completed its mission on January 31, 1968. "Earthrise" seen by the Apollo 8 astronauts in December 1968. The United States made up for its slow start in the space race with the Soviets by grabbing the ultimate prize: landing the first man on the moon. NASA astronauts Neil Armstrong and Buzz Aldrin stepped down on the Sea of Tranquility on July 20, 1969, while their crewmate Michael Collins orbited above in the Apollo Command and Service Module. The three returned home on July 24, 1969. In between American Apollo manned flights, the Soviet Union launched this unmanned sample return mission to the moon on Sept. 12, 1970. Luna 16 landed on the lunar surface (in total darkness, no less), collected moon rocks, packed them up, and returned them to Earth. It was the first successful robotic sample return. The Soviet Lunokhod 1 was the first lunar rover to traverse the moon. The rover launched unmanned on Nov. 10, 1970 as part of the Luna 17 mission. After touching down on the moon, the remote-controlled vehicle traveled over 6 miles (10.5 kilometers), snapping photos and video the whole way. This Soviet robotic sample return mission was the last time samples from the moon were brought back to Earth. The probe launched Aug. 9, 1976, and returned with 6 ounces (170 grams) of moon rocks and dirt on Aug. 22, 1976. This NASA unmanned spacecraft launched Jan. 7, 1998 on a mission to orbit the moon in search of signs of water ice and other minerals in permanently shaded craters at the lunar poles. Over the course of 19 months, the probe compiled a map of the mineral composition over the surface, before crash landing on July 31, 1999. This mission represented the first lunar mission entry from the European Space Agency. The unmanned SMART-1 probe launched on Sept. 27, 2003, and reached lunar orbit in November 2004. The small spacecraft was powered by ion engine using solar electric energy. This Japanese mission to the moon lifted off Sept. 14, 2007, and entered orbit around the moon less than a month later. The spacecraft is still in lunar orbit, compiling the most detailed map yet of the moon's gravitational field. An artist's interpretation of the China's Chang'e 1 lunar orbiter, which launched in October 2007 and ended its mission by crashing into the moon on March 1, 2009. China's first mission beyond Earth launched Oct. 24, 2007. The unmanned spacecraft orbited the moon until March 2009, when it was intentionally crashed into the lunar surface. China followed that mission with the Chang'e 2 probe, which launched on Oct. 1, 2010 and only recently left the moon to travel to the L1 Lagrange Point between the Earth and the sun. Not to be outdone, India joined the moon exploration game on Oct. 22, 2008, when it launched the robotic Chandrayaan-1 probe to lunar orbit. India's first mission beyond Earth, the probe observed the moon from orbit until August 2009. In November 2008, the spacecraft released the Moon Impact Probe to slam into the moon, ejecting dirt that might reveal traces of lunar water ice. In September 2009, results from one of Chandrayaan-1's instruments, the Moon Mineralogy Mapper, helped detect evidence for water on the moon. LRO was NASA's first moon mission since the Apollo era. The unmanned orbiter launched on June 18, 2009. Originally planned as a precursor to manned American return trips to the moon, LRO has been mapping the lunar surface in high-resolution 3-D. The probe has good enough vision to spot footprints from the Apollo astronauts. Watch the final 6 minutes of NASA\'s LCROSS mission to smash the moon\'s surface, in search of water ice. This NASA moon impactor launched along with the Lunar Reconnaissance Orbiter in June 2009. On Oct. 9, 2009, the unmanned probe slammed into the moon's surface, kicking up debris from a crater on the moon's south pole. A month later, NASA confirmed that the impact provided evidence of water ice there. NASA's twin Grail spacecraft are due to launch Sept. 8, 2011 on a mission to study the lunar gravitational field from orbit to learn more about the moon's formation and history. The two spacecraft will take an energy-efficient route to polar orbit around the moon, planning to arrive on Dec. 31, 2011. Researchers plan to monitor slight changes in the distance between the two probes caused by variations in the moon's gravitational field. You can follow SPACE.com senior writer Clara Moskowitz on Twitter @ClaraMoskowitz. Follow SPACE.com for the latest in space science and exploration news on Twitter @Spacedotcom and on Facebook.